1.3.3 What this tells us about our "frames"
Even if we don't mention him explicitly, this elephant is the main hero of our stories. The most interesting and impactful ideas are without doubt those that challenge our very order of things. But such ideas also present the largest challenge to communication! A shared paradigm is what enables us to communicate. How can we make sense of new things, while they still challenge the order of things that gives things meaning? When they attempt to share with us their insights, the visionaries appear to us like those proverbial blind or blind-folded men touching the elephant. They are of course far from being blind; they are the seers! But the 'elephant' is invisible. We don't even have the words to describe him yet! And so we hear the giants talk about "the fan", "the hose" and "the rope" – while it's really the ear and the trunk and the tail of that big new thing they are pointing to. The way to remedy this situation is, of course, by connecting the dots. Initially, all we can hope for is to show just enough of the elephant to discern its contours. Then interest and enthusiasm will do the rest. Imagine all the fun we'll have, all of us together, discovering and creating all those details! We'll begin here with four 'dots'. We'll introduce four giants, and put their ideas together. This might already be enough to give us a start. The technique we'll use – the vignettes – is in essence what the journalists use to make ideas accessible. They tell them through people stories! We hope these stories will allow you to "step into the shoes" of giants, "see through their eyes", be moved by their visions. 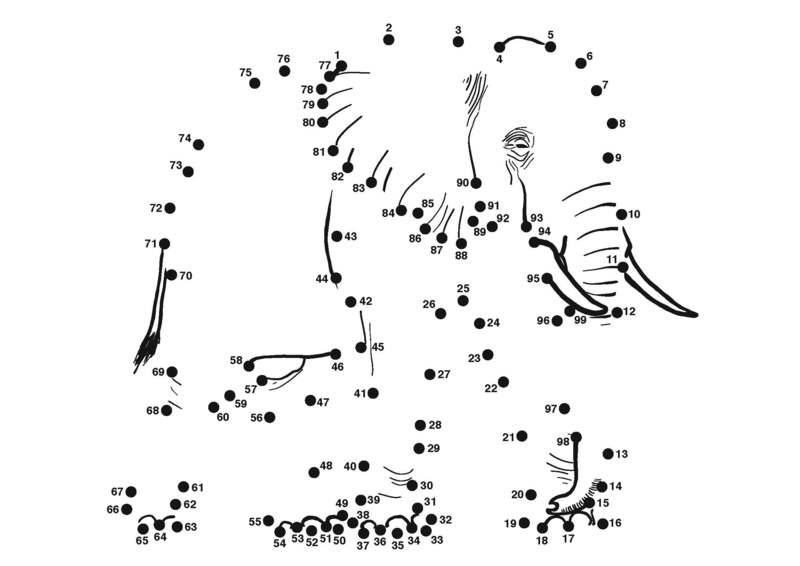 By combining the vignettes into threads, we begin to put the elephant together. The threads add a dramatic effect; they let the insights of giants enhance one another. (T)he nineteenth century developed an extremely rigid frame for natural science which formed not only science but also the general outlook of great masses of people. 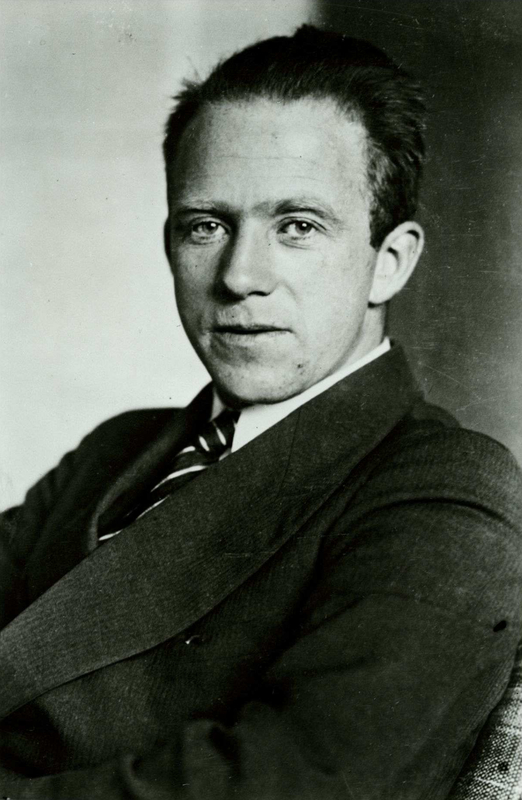 Werner Heisenberg got his Nobel Prize in 1932, "for the creation of quantum mechanics" he did while still in his twenties. In 1958, this giant of science looked back at the experience of his field, and wrote "Physics and Philosophy" (subtitled "the revolution in modern science"), from which the above lines have been quoted. so narrow and rigid that it was difficult to find a place in it for many concepts of our language that had always belonged to its very substance, for instance, the concepts of mind, of the human soul or of life. seemed now more or less only imaginary. (...) The confidence in the scientific method and in rational thinking replaced all other safeguards of the human mind. one may say that the most important change brought about by its results consists in the dissolution of this rigid frame of concepts of the nineteenth century. The key to understanding this "dissolution of the narrow frame" is the so-called double-slit experiment. You'll easily find an explanations online, so we'll here only draw a quick sketch and come to conclusion. A source of electrons is shooting electrons toward a screen - which, like an old-fashioned TV screen, remains illuminated at the places where an electron has landed. Between the source and the screen is a plate pierced by two parallel slits, so that the only way an electron can reach the screen is to pass through one of those slits. What really happens is this: When the movement of the electron is observed, it behaves as a particle – it passes through one of the slits and lands on the corresponding spot on the screen. When, however, this observation is not made, electrons behave as waves – they pass through both slits and create an interference pattern on the screen. The question naturally arises – are electrons waves, or particles? The answer is, of course, that they are neither. What this tells us about our "frames"
Electrons defy both our language and our reason. Experimental results compelled the scientists to conclude that "wave" and "particle" are concepts, and corresponding behavioral patterns, which we have acquired through experience with common physical objects, such as water and pebbles. And that the electrons are simply something else – they behave unlike anything we have in experience. In the book Heisenberg talks about the physicists unable to describe the behavior of small quanta of matter in conventional language. The language of mathematics still works – but the common language doesn't! In "Uncommon Sense" Robert Oppenheimer – Heisenberg's famous colleague and the leader of the WW2 Manhattan project – tells about the double-slit experiment to conclude that even our common sense, however solidly objective it might appear to us, is really derived from our experience with common objects. And that it may no longer work – and doesn't work – when we apply it to things we don't have in experience. Science rose from a tradition, whose roots are in antiquity, and whose goal was to understand and explain the reality as it truly is, through right reasoning. Science brought us to the conclusion that there is no right reasoning that can lead us to that goal. Heisenberg was, of course, not at all the only giant who reached that conclusion. A whole generation of giants, in a variety of field, found evidence against the reality-based approach to knowledge. We'll here let one of them, Benjamin Lee Whorf, summarize the conclusion. It needs but half an eye to see in these latter days that science, the Grand Revelator of modern Western culture, has reached, without having intended to, a frontier. Either it must bury its dead, close its ranks, and go forward into a landscape of increasing strangeness, replete with things shocking to a culture-trammelled understanding, or it must become, in Claude Houghton’s expressive phrase, the plagiarist of its own past." It may be interesting to observe that this was written already in the 1940s – and published a decade later as part of a book. The Enlightenment empowered the human reason to rebel against the tradition and freely explore the world. Several centuries of exploration brought us to another turning point – where our reason has become capable of self-reflecting; of seeing its own limitations, and blind spots. The natural next step is to begin to expand those limitations, to correct those blind spots – by creating new ways to create knowledge. Digital technology could help make this a better world. But we've also got to change our way of thinking. These two sentences were intended to frame Douglas Engelbart's message to the world – which was to be delivered at a panel organized and filmed at Google in 2007. In December of 1950 Engelbart was a young engineer just out of college, engaged to be married, and freshly employed. His life appeared to him as a straight path to retirement. He did not like what he saw. So there and then he decided to direct his career in a way that will maximize its benefits to the mankind. To be able to pursue his vision, Engelbart quit his job and enrolled in the doctoral program in computer science at U.C. Berkeley. It took awhile for the people in Silicon Valley to realize that the core technologies that led to "the revolution in the Valley" were not developed by Steve Jobs and Bill Gates, or at the XEROX research center where they found them – but by Douglas Engelbart and his SRI-based research team. On December 9, 1998 a large conference was organized at the Stanford University to celebrate the 30th anniversary of Engelbart's Demo, where this technology was first shown to the public. Engelbart received the highest honors an inventor could have, including the Presidental award and the Turing prize (the computer science equivalent to Nobel Prize). Allen Kay (another Silicon Valley icon) honored him even more highly, by asking "What will the Silicon Valley do when they run out of Doug's ideas?". And yet it was clear to Doug – and he made it clear to others – that the core of his vision was neither implemented nor understood. Doug felt celebrated for wrong reasons. He was notorious for telling people "You just don't get it!" The slogan "Douglas Engelbart's Unfinished Revolution" was coined as the title of the 1998 Stanford University celebration of the Demo, and it stuck. On July 2, 2013 Doug passed away, celebrated and honored – yet feeling he had failed. What was the essence of "Engelbart's unfinished revolution"? What did he see, which he was unable to communicate? Whenever Doug was speaking or being celebrated, that elephant, which is the main hero of our stories, was present in the room. A huge, spectacular animal in the midst of a university lecture hall – should that not be a front-page sensation and the talk of the town? How can such a large thing remain unseen? And yet nobody saw it! If this may seem incredible – take a look at these first four slides that Doug prepared for the 2007 "A Call to Action" panel at Google. This presentation was organized to share with the world Doug's final message, at the end of his career. 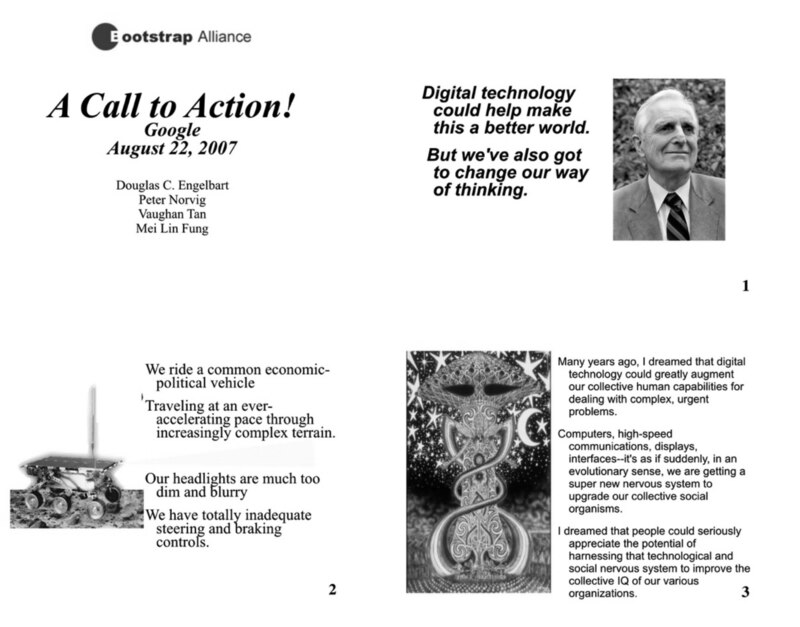 The title and the first three slides that were prepared for Engelbart's "A Call to Action" panel at Google in 2007. You will notice that Doug's "call to action" requested new thinking. And that he introduced this new thinking by a variant of the bus metaphor we used to introduce knowledge federation. And that the third slide brought the "nervous system" metaphor we shared on the front page. Engelbart is still introduced in the Youtube subtitle as "the inventor of the computer mouse"
How important was Engelbart's intended gift to humanity? The printing press is a fitting metaphor in our context, as the technology that made the Enlightenment possible, by giving access to knowledge. If we now ask what technology might play a similar role in the next enlightenment, you will probably answer "the Web" (or "the network-interconnected interactive digital media" if you are technical). And you would probably be right. While there can be no doubt that the printing press led to a revolution in knowledge work, that revolution was only a revolution in quantity. The printing press could only do what the scribes were doing – while making it faster! The network-interconnected interactive digital media, however, is a disruptive technology of a completely new kind. It is not a broadcasting device, but in a truest sense a nervous system connecting people together! A nervous system is a thinking and sense-making organ, not a broadcasting device. To use it right, a a new and different specialization and organization of knowledge work must be put in place. You may now easily guess what it was that, Doug felt, he was leaving unfinished. He called it "bootstrapping" – and we've adopted that as one of our keyword. 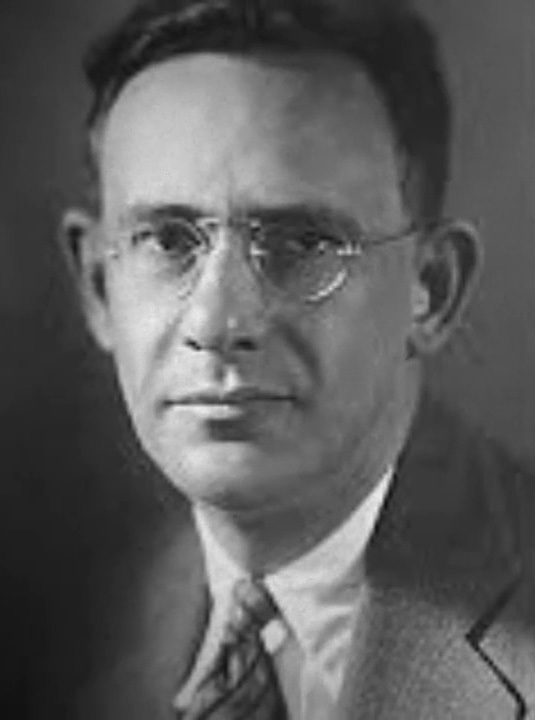 Bootstrapping was so central to Doug's thinking, that when he and his daughter Christina created an institute to realize his vision, they called it "Bootstrap Institute" – and later changed the name to "Bootstrap Alliance" because, as we shall see, an alliance rather than an institute is needed to do bootstrapping. Being a systemic thinker, Doug saw that the most effective way in which one can invest his creative capabilities (and make "the largest contribution to humanity") – is by applying them to improve everyone's creative capabilities, including one's own. And most importantly, Doug saw that the systemic change was the necessary next step, if "collective intelligence" (which he understood as our ability to respond to rapidly growing complexity and urgency of our problems) should be the result. And that systemic change can only happen when the people carry it out in their own work and institutions, with their own minds and bodies. The task is nothing less than to build a new society and new institutions for it. With technology having become the most powerful change agent in our society, decisive battles will be won or lost by the measure of how seriously we take the challenge of restructuring the “joint systems” of society and technology. Erich Jantsch reached and reported the above conclusion quite exactly a half-century ago – at the time when Doug Engelbart and his team were showing their demo. We weave their stories together in the second book of Knowledge Federation trilogy, whose title is "Liberation" and subtitle "Democracy for the Third Millennium". Their stories belong together. The task to "build a new society and new institutions for it", which (as we'll see in a moment) Jantsch saw as necessary for making our society capable of responding to its new condition and issues, is (as we have just seen) also what's needed to use the new information technology in a good or right way. But why this subtitle? Why "democracy"? In the old paradigm, democracy is what it is – the free press, the elections, people's elected representatives. As long as that is in place, we have democracy by definition. The nightmare scenario in this traditional conception of democracy is a dictatorship, where a dictator has taken away from the people the democracy and its instruments. But there is another way – to consider democracy as a social system where the people are in control. The nightmare scenario in this systemic conception of democracy is what Engelbart showed on his second slide – it's the condition where nobody is in control, because the system is lacking whatever is needed for anyone to be able to control it! A dictator is a smaller matter – he might be ousted; he might come to his senses. But when the control is physically or systemically impossible – then we really have a problem! Jantsch got his doctorate in astrophysics in 1951, when he was only 22. Recognizing, like Doug, our society's new and growing needs, he soon got engaged in a study (for the OECD in Paris) of what was then called "technological planning" – i.e. of the strategies for developing and deploying technology. So when The Club of Rome was to be initiated (fifty years ago at the time of this writing), as an international think tank whose mission was to provide our society the guiding light it needed, Jantsch was chosen to put the ball in play by giving a keynote speech. With a doctorate in physics, it was not difficult to Jantsch to put two and two together and see what needed to be done. If our civilization is "on a collision course with nature" (as The Club of Rome diagnosed), then (as Engelbart metaphorically put it) its headlights and its steering and braking controls must be dysfunctional. So right after The Club of Rome's first meeting in Rome, Jantsch gathered a group of creative leaders and researchers in Bellagio, Italy, to put together the necessary insights and methods. The result was a systemic innovation methodology. Rational creative action begins with forecasting, which explores future scenario, and ends with systemic innovation, as a way to steer toward the most desirable future. We are living in a world of change, voluntary change as well as the change brought about by mounting pressures outside our control. Gradually, we are learning to distinguish between them. We engineer change voluntarily by pursuing growth targets along lines of policy and action which tend to ridgidify and thereby preserve the structures inherent in our social systems and their institutions. We do not, in general, really try to change the systems themselves. However, the very nature of our conservative, linear action for change puts increasing pressure for structural change on the systems, and in particular, on institutional patterns. If systemic innovation is the new capability that our institutions and our civilization at large now require, to be able to steer a viable course into the future – then who (that is, what institution) will foster this capability? Jantsch concluded that the university (institution) will have to be the answer. And that to be able to fulfill this role, the university itself will need to change its own system. In 1969 Jantsch spent a semester at the MIT, writing a 150-page report about the future of the university, from which the above excerpt was taken, and lobbying with the faculty and the administration to begin to develop this new way of thinking and working in academic practice. Even this brief sketch of Erich Jantsch's vision and legacy would be unjustly incomplete, if we would not mention evolution. Jantsch had at least two strong reasons for this interest. The first one was his insight – or indeed lived experience – that the basic institutions and other societal systems were too immense and inert to be change by human action. And that changing the way the systems evolve provided a whole other degree of impact. Another reason Jantsch had for this interest was that he saw it as a genuinely new paradigm in science, and an emerging scientific frontier. With Ervin Laszlo we may say that having addressed ourselves to the understanding and mastering of change, and subsequently to the understanding of order of change, or process, what we now need is an understanding of order of process (or order of order of change) – in other words, an understanding of evolution. 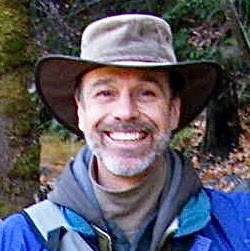 Jantsch spent the last decade of his life living in Berkeley, teaching sporadic seminars at U.C. Berkeley and writing prolifically. Ironically, the man who with such passion and insight lobbied that the university should take on and adapt to its vitally important new role in our society's evolution – never found a home and sustenance for his work at the university. In 1980 Jantsch published two books about "the evolutionary paradigm", and passed away after a short illness, only 51 years old. In his will he asked that his ashes be tossed into the ocean, "the cradle of evolution". The human race is hurtling toward a disaster. It is absolutely necessary to find a way to change course. 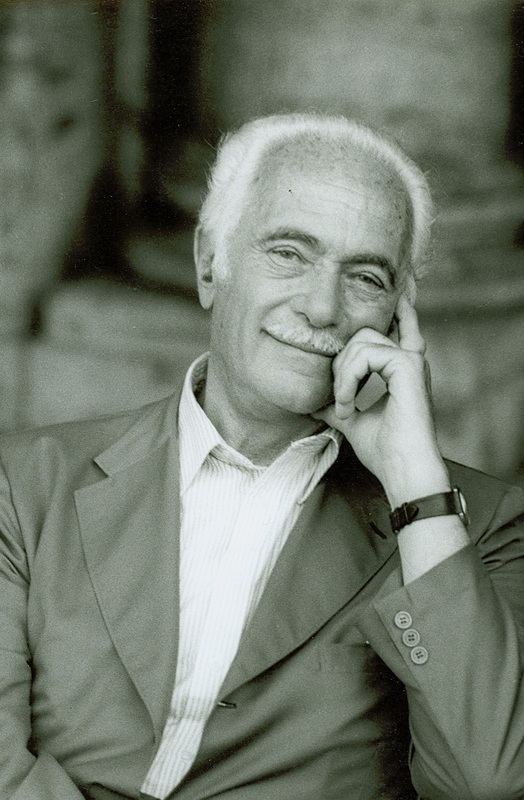 Aurelio Peccei – the co-founder, first president and the motor power behind The Club of Rome – wrote this in 1980, in One Hundred Pages for the Future, based on this think tank's first decade of research. My 11 months of captivity were one of the most enriching periods of my life, and I regard myself truly fortunate that it all happened. Being strong as a bull, I resisted very rough treatment for many days. The most vivid lesson in dignity I ever learned was that given in such extreme strains by the humblest and simplest among us who had no friends outside the prison gates to help them, nothing to rely on but their own convictions and humanity. I began to be convinced that lying latent in man is a great force for good, which awaits liberation. I had a confirmation that one can remain a free man in jail; that people can be chained but that ideas cannot. Peccei was also an unordinarily able business leader. While serving as the director of Fiat's operations in Latin America (and securing that the cars were there not only sold but also produced) Peccei established Italconsult, a consulting and financing agency to help the developing countries catch up with the rest. When the Italian technology giant Olivetti was in trouble, Peccei was brought in as the president, and he managed to turn its fortunes around. And yet the question that most occupied Peccei was a much larger one – the condition of our civilization as a whole; and what we may need to do to take charge of this condition. Let me recapitulate what seems to me the crucial question at this point of the human venture. Man has acquired such decisive power that his future depends essentially on how he will use it. However, the business of human life has become so complicated that he is culturally unprepared even to understand his new position clearly. As a consequence, his current predicament is not only worsening but, with the accelerated tempo of events, may become decidedly catastrophic in a not too distant future. The downward trend of human fortunes can be countered and reversed only by the advent of a new humanism essentially based on and aiming at man’s cultural development, that is, a substantial improvement in human quality throughout the world. The future will either be an inspired product of a great cultural revival, or there will be no future. human development is the most important goal. Peccei's and Club of Rome's core insight and advice (that the focus should not be on problems but on the condition or the "problematique" as a whole) tends to be ignored not only by "climate deniers", but also by activists and believers. It remains to connect the dots. Already connecting Peccei's core insight with the one of Heisenberg will bring us a step further. Peccei observed that our future depends on our ability to revive culture, and identified improving the human quality is the key strategic goal. Heisenberg explained that the "narrow and rigid" way of looking at the world that the 19th century science left us was damaging to culture – and in particular its parts on which the human quality depended. And that the "dissolution" of this rigid frame was due for intrinsic or academic reasons. Connecting the ideas of Jantsch and Engelbart is even easier, they are just two sides of a single coin. The new information technology can give us the vision we need – provided that systemic innovation is in place, to reconfigure our communication. And if we should also be able to take advantage of that vision and steer – systemic innovation must be there to give us control. Our key task, our natural next step, is an institution that can give us the capability to evolve knowledge work further – and to use the resulting knowledge to steer the evolution of other systems as well. Less than two weeks after Engelbart passed away, in July 2013, his wish to see his ideas taken up by an academic community came true! And the community – the International Society for the Systems Sciences – couldn't have been better chosen. At this society's 57th yearly conference, in Haiphong Vietnam, the ISSS began to self-organize according to Engelbart's principles – by taking advantage of new media technology, and aiming to become collectively intelligent. 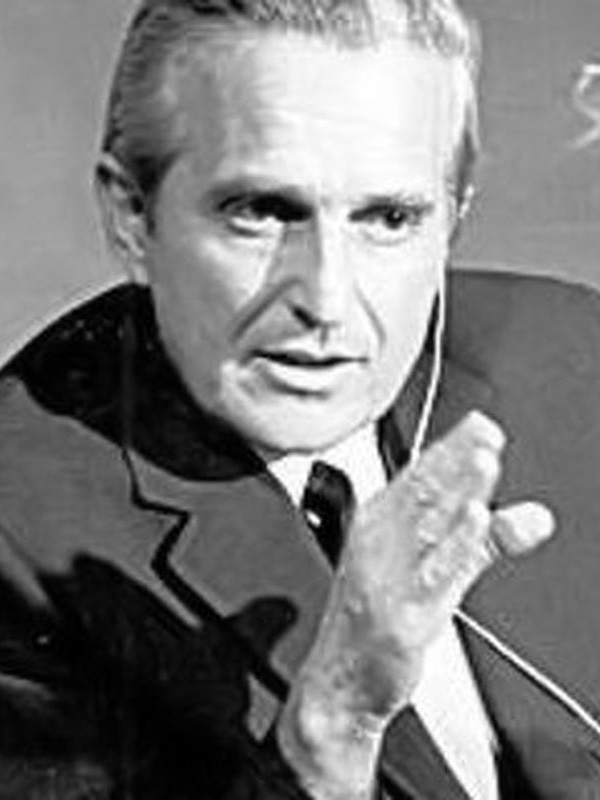 Engelbart's name was often heard. Alexander Laszlo was the ISSS President who initiated the mentioned development. Alexander was practically born into systemic innovation. His father Ervin, himself a creative leader in the systems community, pointed out out that our choice was “evolution or extinction” already in the title of one of his books. So Alexander did the obvious – and became a leader of systemic innovation and guided evolution. 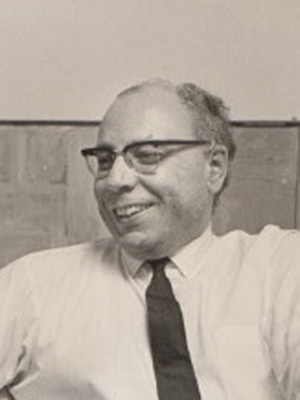 Alexander’s PhD advisor was Hasan Özbekhan, who wrote the first 150-page systemic innovation theory, as part of the Bellagio team initiated by Jantsch. He later worked closely in the circle of Bela H. Banathy, who for a couple of decades held the torch of systemic innovation in the systems community. As serendipity would have it, at the point where the International Society for the Systems Sciences was having its 2012 meeting in San Jose, at the end of which Alexander was appointed as the society's president, Knowledge Federation was having its presentation of The Game-Changing Game (a generic, practical way to change institutions and other large systems) practically next door, at the Bay Area Future Salon in Palo Alto. Louis Klein – a senior member of the systems community – attended our presentation, and approached us afterwards saying "I will introduce you to some people". He introduced us to Alexander Laszlo and his team. "Systemic thinking is fine", we wrote in an email, "but what about systemic doing?" "Systemic doing is exactly what we are about", they reassured us. So we joined them in Haiphong. "We are here to build a bridge", was the opening line of our presentation, " between two communities of interest, and two domains – systems science, and knowledge media research." The title of our contribution was "Bootstrapping Social-Systemic Evolution". As a springboard story we told about Erich Jantsch and Doug Engelbart, who needed each other to fulfill their missions, but never met, in spite of living and working so close to each other. Knowledge Federation was initiated in 2008 by a group of academic knowledge media researchers and developers. At our first meeting, in the Inter University Center Dubrovnik (which as an international federation of universities perfectly fitted our purpose), we realized that the technology that our colleagues were developing could "make this a better world". But that to help realize that potential, we would need to organize ourselves differently. Our second meeting in 2010, whose title was "Self-Organizing Collective Mind", brought together a multidisciplinary community of researchers and professionals. The participants were invited to see themselves not as professionals pursuing a career in a certain field, but as cells in a collective mind – and to begin to self-organize accordingly. What resulted was Knowledge Federation as a prototype of a transdiscipline. The idea is natural and simple: a trandsdisciplinary community of researchers and other professionals and stakeholders gather to create a systemic prototype – which can be an insight or a systemic solution for knowledge work or in any specific domain of interest. In this latter case, this community will usually practice bootstrapping, by (to use Alexander's personal motto) "being the systems we want to see in the world". This simple idea secures that the knowledge from the participating domain is represented in the prototype and vice-versa – that the challenges that the prototype may present are taken back to the specific communities of interest and resolved. At our third workshop, which was organized at Stanford University within the Triple Helix IX international conference (whose focus was on the collaboration between university, business and government, and specifically on IT innovation as its enabler) – we pointed to systemic innovation as an emerging and necessary new trend; and (the kind of organization represented by) knowledge federation as its enabler. Paddy Coulter (director of Oxford Global Media and former director of Oxford University Reuters School of Journalism), Mei Lin Fung (founder of the Program for the Future) and David Price (co-founder of Debategraph and of Global Sensemaking) speaking at our 2011 workshop "An Innovation Ecosystem for Good Journalism" in Barcelona. At our workshop in Barcelona, later that year, media creatives joined the forces with innovators in journalism, to create a prototype for the journalism of the future. A series of events followed – in which the prototypes shown in Federation through Applications were developed. Throughout its existence, and especially in this early period, Knowledge Federation was careful to make close ties with the communities of interest in its own domain – so that our own body of knowledge could be federated and not improvised. When our workshops were in Palo Alto, Doug and Karin Engelbart joined us to hear and comment on our presentation in Mei Lin Fung's house. Bill and Roberta English – Doug's right and left hand during the Demo days – were with us all the time. From a number of prototypes that resulted from our collaboration with the systems scientists, we highlight only one, The Lighthouse. 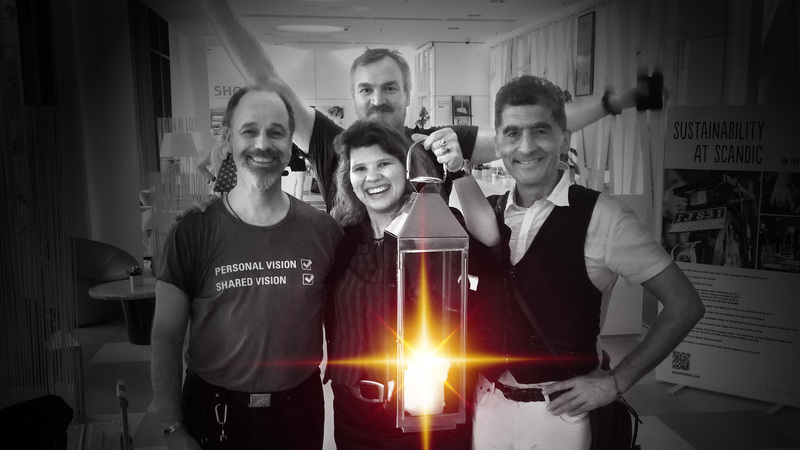 The initial Lighthouse design team, at the ISSS59 conference in Berlin where it was formed. The light was subsequently added by our communication design team, in compliance with their role. If you'll imagine stray ships struggling on stormy seas, then the purpose of The Lighthouse is to show the way to a safe harbor – where systemic innovation is the chosen new way to steer, and to become capable of steering. In the context of the International Society for the Systems Sciences as an academic community, The Lighthouse extends its conventional repertoire of activities (conferences, articles, books...) by a single new capability – to inform the public. The task of The Lighthouse is to federate the answer to a single key question: Is systemic innovation really necessary? Or is it enough to rely on "the invisible hand" of the market? You will notice that an answer to this question is needed to give all other work in the community the impact it needs to have.